We're here to help! Whether you need a new faucet quickly or skirting at the best price in the country, Complete Mobile Home Supply has the supplies you need and the expert staff to earn your business. 15% off all door knob and lock sets with coupon code "lockitup". Stainless Steel and Polished Brass Sets! "Might say I was very impressed with his courteous and polite service as well as the fast shipping, got here sooner than expected. Thanks!" The stainless steel combination set comes with a deadbolt assembly, entry lock set, and keys. 48" tall panels along with air vents to circumvent your house with durable and attractive rock skirting. 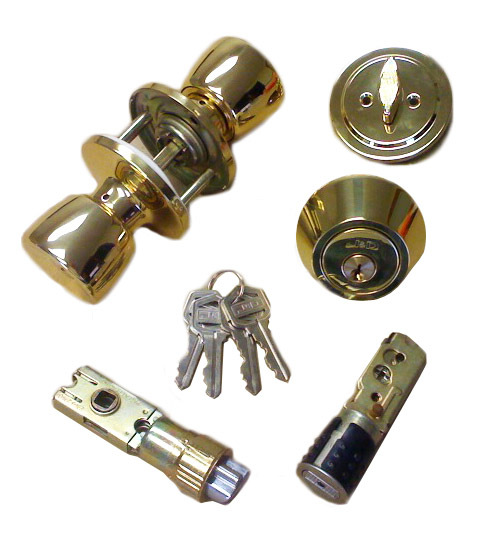 The combination set with brass lever handles comes with a deadbolt assembly, lever lock set, and keys. The 9" Lighted Vertical Fan is the ideal ventilation fan for mobile home bathrooms and laundry rooms. Fitted with a one bulb light fixture, this easy to install fan is both functional and convenient.